Luz María López is a writer of poetry, narrative, essays, translator, editor and activist from Puerto Rico. Her poetry books are issued in Spanish and English. Editor in chief of “Voces Poéticas de Nuevo Siglo”, international poetry anthology in Spanish (Kafla, 2016); Assistant editor of “XXI Century Literature Book” (Kafla, 2016). Her poems have been translated to Arabic, Italian, Chinese, Turkish, Polish, Catalan, Bangla. She also contributes with essays about feminine topics which are published in journals, newspapers and magazines. 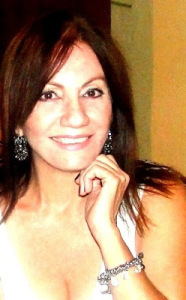 Luz María has participated in Poetry Festivals in Colombia, Mexico, Ghana, Turkey, Spain, India and Bangladesh and Puerto Rico. She is recipient of three literary awards: Kathak Literary Award, Dhaka International Poets Summit, Bangladesh 2017; Shaan-E-Adab “Glory of Literature” by Kafla Intercontinental, Udaipur, India 2016; Universal Inspirational Poet, by Pentasi B, Accra, Ghana, 2016. She is Clustering Executive Director at World Festival of Poetry (WFP) and leads the World Poetic Front Defending Women’s Rights (WM); Board Member of the International Writers Association IWA-BOGDANI; Poets of the World; Director for Spain and Puerto Rico at World Nation Writer's Union; President for Spain and Puerto Rico at Writers Capital Foundation; Board of Directors Member at Soflay Literary Foundation; International Parliament of Writers from Colombia - Ambassador to Puerto Rico; Editor at Galaktika Poetike “ATUNIS” Literary Magazine; International Book Fair “Eugenio María de Hostos” in Puerto Rico - Organizing Committee Member.